Now WhatsApp Calling feature is available for everyone. 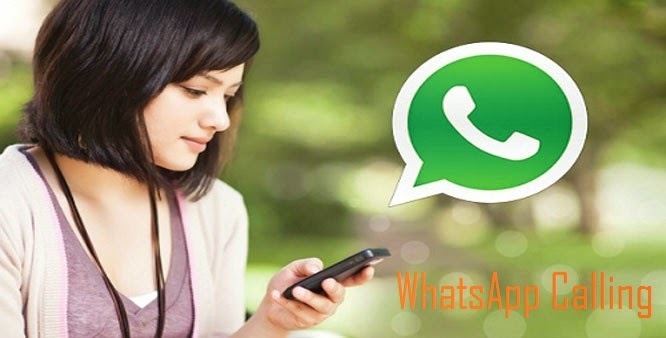 WhatsApp has launched the most anticipated android feature officially for all its users. Initially this feature was available to only a handful of users but now anyone with the latest version of Whatsapp installed on their Android phone can use this feature. 1. Download the latest version of WhatsApp for your Android or update the app to at least 2.11.561 if you are downloading from Google Play as the older versions don't support this feature for all the users. 2. Once you have finished downloading you can ask someone who already has whatsapp calling activated to make a Whatsapp call to your number. 3. Giving a missed call might not work, so you will need to receive the call and hold on for a few seconds before disconnecting to make this feature activated. 4. Once you have done that you will find three new tabs displayed on your WhatsApp interface- Calls, Chats and Contacts. And you know that WhatsApp Calling has been enabled on your Android. Are you using WhatsApp Calling? Is this feature working well? You can share with us your experience with this feature through comments.